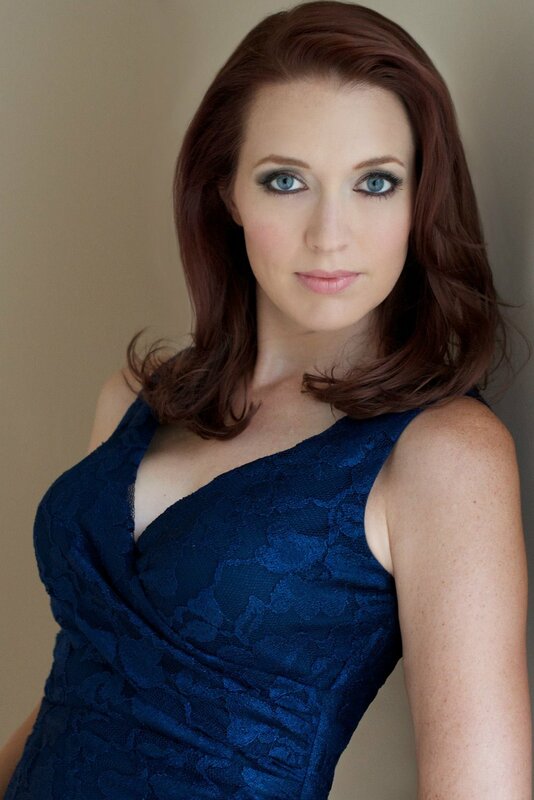 Jessica Renfro is an internationally performing classical singer and Creative Director of A Moment for Music. She believes strongly that one of the most meaningful things a singer can do is lend her voice to help a great cause. As Creative Director she has created and co-produced four shows since February of 2016: Viaggio: A Transatlantic Love Affair, American Heart, Lost In The Woods, and The Sea to Shining Sea Radio Hour (upcoming). To date, these shows have raised a combined $6600 dollars for charity. On the opera stage she has also performed with Maggio Musical Fiorentino (Florence, Italy), Opera Tampa, Opera Delaware, Dicapo Opera, St. Petersburg Opera, Light Opera New Jersey, Opera Company of Middlebury and others in repertoire including the title roles in Cenerentola, Carmen, Dido in Dido and Aeneas, Hansel in Hansel and Gretel, and Romeo in I Capuleti ed i Montecchi. Also an accomplished concert artist, she has performed with the Baltimore Symphony Orchestra, Richmond Symphony Orchestra, Delaware Symphony Orchestra, Buffalo Philharmonic, Bach in Baltimore Concert Series and the Bay Atlantic Symphony in solo orchestral works including Handel's Messiah and the Mozart Requiem. Originally from Coventry, Connecticut, she began her career in music as a singer/songwriter, performing in venues throughout New England with her guitar. After discovering a love of classical music in college, she earned a B.M. from the University of Connecticut and an M.M. and G.P.D. from the Peabody Conservatory in Baltimore, MD. Lynda Saponara is an internationally-performing pianist and vocal coach, and the Musical Director of A Moment for Music. Since 2016 she has co-produced and performed in Viaggio: A Transatlantic Love Affair, American Heart, and Lost in the Woods. Internationally, Ms. Saponara has performed with the American Institute of Musical Studies in Graz, Austria. In the U.S., she has collaborated with the Princeton Festival, the American Handel Festival, dell'Arte Opera Ensemble, Boheme Opera NJ, Opera at Florham, and Opera Festival of New Jersey. Ms. Saponara was a founding member of the chamber ensemble trio@play, which released two albums: In the Sandbox (2012) and the children's CD Willie Was Different (2011). She has performed on the TODAY show with tenor Philip Alongi, and also performed with vocalists such as Linda Watson, Caroline Worra, Charles Schneider, and Jessica Renfro. Ms. Saponara earned D.M.A. and M.M. degrees in Collaborative Piano Performance from Mason Gross School of the Arts and a B.M. in Piano Accompanying from Westminster Choir College. She has been a faculty member at The College of New Jersey, Mason Gross School of the Arts at Rutgers University, New Jersey City University, and Wagner College. She maintains vocal coaching and piano studios in Princeton, NJ. Austrian native Eva Kastner-Puschl enjoys a vibrant performing career throughout Europe and the United States as both a classically-trained mezzo-soprano and pianist. As a singer she has performed with the Amherst Early Music Festival, Princeton Festival, the American Bach Soloists Academy, Princeton Pro Musica, The New York Continuo Collective, and The Princeton Singers. She is also a member of the Professional Women's Singers Association of New York, New York. With A Moment for Music, she performs jazz, classical and pop music in Lost in the Woods, and will next perform the show at the Philadelphia Fringe Festival in September of 2017. She holds an M.M. in Voice Performance and Pedagogy from Westminster Choir College, a diploma in Music and Instrumental Music Education from the University of Music and Performing Arts in Graz, Austria, and an M.B.A. from Karl-Franzens University. Soprano Amy Suznovich is a professional opera singer who began her musical career in the Catholic church. She has performed as a soloist with the Newtown Chamber Orchestra, Hunterdon Symphony, New Brunswick Chamber Orchestra, Baroque Orchestra of New Jersey, George Street Playhouse, the Philadelphia Fringe Festival, and Boheme Opera of New Jersey. Amy will star in A Moment for Music's Sea to Shining Sea Radio Hour, a concert to benefit and share the stories of veterans, in September 2017. A versatile performer, she is often sought as a National Anthem singer for professional sports teams, including the Philadelphia Phillies, Trenton Thunder, Staten Island Yankees, and the Long Island Ducks. She is also a repeat guest on the radio show Veterans Corner on WRSU 88.7. Ms. Suznovich holds a B.M. in Voice Performance from Ithaca College. She is currently a cantor at St. Bartholomew's Church of East Brunswick, New Jersey, where she has worked since 2010. Internationally performing pianist Stefanie Watson has had a varied career as a staff pianist, music director, and conductor. She has performed with Lied Austria International, a month-long summer program in Leibnitz, Austria that focuses on intense study of German art song and poetry. Additionally, she performs on vocal and chamber recitals in the tri-state area. Ms. Watson collaborates as a chamber musician with the Bennington Chamber Music Conference in Bennington, Vermont, in the New York City Bar Association’s Chamber Music Series, and with the Rock Creek Chamber Players. She also regularly joins larger instrumental ensembles like the Adelphi Orchestra, Garden State Philharmonic, and Eastern Wind Symphony as a keyboardist. Ms. Watson holds a Masters degree in Collaborative Piano from Rutgers University and an undergraduate degree in Piano Performance from the University of Maryland, Baltimore County. She is also a Staff Pianist and Assistant Music Director of the Lyric Theater program at The College of New Jersey. Stefanie is very excited to join M4M for The Sea to Shining Sea Radio Hour! Soprano Sarai Cole is a rising star on the opera stage, winning prestigious awards throughout the United States and abroad. She is a recent finalist in the George London Foundation Competition, and a winner of competitions with Harlem Opera Theater and the International Vocal Arts Institute. She has also been a recipient of grants from the Wagner Societies of New York and California. Ms. Cole has appeared with the New Hampshire Symphony Orchestra, Harlem Opera Theater, and Chicago Summer Opera and performed in venues such as Carnegie Hall, the Dorothy Chandler Pavilion, and the Kimmel Center, where she was the soprano soloist in Vaughan Williams' Dona Nobis Pacem. Ms. Cole's upcoming engagements include a repeat appearance with the New Hampshire Symphony Orchestra in the Wagner Essential Ring adaptation, and a debut with Utah Festival Opera. She holds an M.M. from Temple University, and currently sings for First Baptist Church of Philadelphia. Soprano Samantha Dango is recognized throughout the United States as a versatile performer, equally at home in opera, operetta, and musical theatre. She was a Finalist for the Peter Elvins Vocal Competition and the second place winner in the International Gilbert & Sullivan Festival. Ms. Dango has sung leading roles with Natchez Festival of Music, Light Opera of New Jersey, NJ State Repertory Opera and Ridgewood Gilbert and Sullivan Opera Company. She has also appeared with Portland Opera and Princeton Festival, and performs benefit concerts for the Susan G. Komen Foundation. Ms. Dango regularly appears as the National Anthem singer for the New Jersey Devils at the Prudential Center in Newark, N.J. She holds an M.M from the Manhattan School of Music and a B.M. from The College of New Jersey and has worked as a soloist in the Presbyterian, Episcopal, and Roman Catholic churches.